OAuth 2 consists of many different types of flows. Many of those have various permutations and extensions that can be used. The most popular of all these is the code flow. This is a message exchange pattern used by web-based applications. These apps are ones that have a back-end or use a traditional approach to web application development. Because such applications reside on a server, it is possible to issue this client a secret or other kind of credential which it can keep safe. Such clients are referred to as "private" ones. The Resource Owner (or user) is redirected in their browser to Curity's OAuth Authorization Server (the "OAuth server" or AS). The URL contains parameters that indicate that the client app wishes to start this flow. This is code by using the response_type query string parameter with a value of code. The OAuth server delegates authentication to authentication service. Note that these two entities, while running in the same product, are separate conceptually. The authentication service responds with the result of the authentication. The OAuth server sends a response back to the client app by way of a browser redirect. The redirect contains a code on the query string. The client sends a request to the OAuth server's token endpoint. The client needs to authenticate and supply the code from the previous request. The OAuth server responds with an Access Token, and optionally a Refresh Token and ID token. The last point about the inclusion of a Refresh Token is an important one. This extra token allows a client to extend the user's session for a prolonged period of time without troubling the user to authenticate again. This is often desirable and one of the primary reasons that the code flow would be used instead of the implicit flow or other exchange where the client is a public one (i.e., one that cannot keep a secret). For reference, this flow is specified in section 4.1 of the OAuth standard. The OAuth profile must refer to an authentication profile. This profile specifies how interactive user login should be performed. This includes authenticators, MFA, user registration, etc. The OAuth server, in particular, with not perform any of these duties and will instead delegate login to the authentication service. The OAuth profile also has to have the code capability enabled. If OpenID Connect will be used, OpenID Connect must be turned on in the profile, and the openid scope must be defined. Click the New Profile menu option from the Token Service tab. Enter some name (e.g., test) and URL prefix (e.g., code-flow-tutorial). This prefix will be appended to the URI of all (endpoints)[endpoints] in the profile, like the token endpoint. Click Next. On the Capabilities page of the wizard, enable at least the Code Flow. Leave Enable OpenID Connect enabled as well, and click Next. On the Service page, choose a Token Data Source. This is the database where hashes of the tokens minted by the new profile will be stored. Choose which authentication profile to use from the Authentication Service dropdown. The Account Manager is only needed when doing other flows, and can be omitted for the sake of this tutorial. On the Signing Keys page, select an existing key or create a new one; this key will be used when signing tokens issued by the new profile. On the next page, Deployment, select the node that will host the new endpoints that are in the new profile. Finally, select to commit the changes or click the Later button if the addition of the profile should be included with other changes that will be made later. This is a very fast and easy way to create a profile. Other methods, like the CLI, are described in other tutorials. Once the sample configuration has been imported or a new OAuth profile has been defined, you can request an authorization code. This is step one in the diagram above. Where you make this to depends on the location of the authorization endpoint. With the sample configuration, this would be https://localhost:8443/authorize; for a profile created with the wizard, it will be the prefix used with oauth-authorize appended, e.g., /code-flow-tutorial/oauth-authorize. The parameters that can be sent to this endpoint vary, but at least response_type with a value of code and client_id must be provided. state should be included and so should a redirect_uri. If the client has defined multiple redirect endpoints, then the redirect_uri must be included. If OpenID Connect is to be used, then a scope parameter must be included with at least openid. This scope should be used when the client needs an ID Token. The client should make no assumptions about the status code used to redirect the user's browser, nor that there will even be a redirect. The standard allows this change of control to be made using any method understood by the user agent, and that is the "API" between the OAuth server and the client -- nothing else. All of these must be form URL encoded; JSON isn't allowed. In the form-URL-encoded request body together with the other parameters. In this case, the parameters client_id and client_secret should be used. In an Authorization request header using the HTTP basic mechanism1. Note that this request will be rejected if the original request did not include the redirect_uri. A redirect_uri should only be sent to the token endpoint if it was also sent in the authorization request. This response does not include a scope value. This is because the authorization request also did not include any. Note the inclusion of the Refresh Token. This is Curity's default behavior for a client that supports the code flow. This token is intended for the client app whereas the Access Token is for the API and the Refresh Token is to be used with the OAuth server. Go to the OAuth profile wherein the client should be created. This is accessible from the Token Service menu at the top of the UI. Click Apps on the left-hand sidebar. Click the + New App button. Enter a name. This will be the client_id, so keep it short, don't include any spaces, and prefer lowercase letters (e.g., my-good-app-22). Then, click Create. In the Client Capabilities section, toggle on Code Flow. In the Client Authentication section, select secret from the dropdown and then enter a secret or click the Generate button to create one. Type a URL into the Redirect URIs field and click Enter. Note how many can be entered here by typing them followed by hitting the Enter key. This is a common kind of control in the admin UI. Optionally, choose a scope from the Scope dropdown list. From the Changes menu at the top of the screen, select Commit. If anything is forgotten or invalid, an error will be shown and you will need to fix this before committing the configuration. If you do not commit the changes, then the client won't exist and will not be able to be used. Once the client has been created and the related configuration is made active, then the code flow for the new client can be performed. Testing the code flow can be done using a browser to begin with and then some HTTP client, like curl or Postman to redeem the authorization code. This is a very helpful way to see exactly what is going on. It can also be challenging and certainly doesn't work well for demos :-) Some alternatives that you may want to try are the ones on the developer portal. In particular, the Python example is used a lot and very well maintained. No matter what tool is used, a user account will be needed; the easiest way to create such a test user is during login using the self-service capabilities of the HTML form that is setup by the example config. If you are not using that though, a test user must be created. See the implicit flow tutorial for details on how to create a user in the database directly. If you have questions on anything in this tutorial, don't hesitate to contact us. 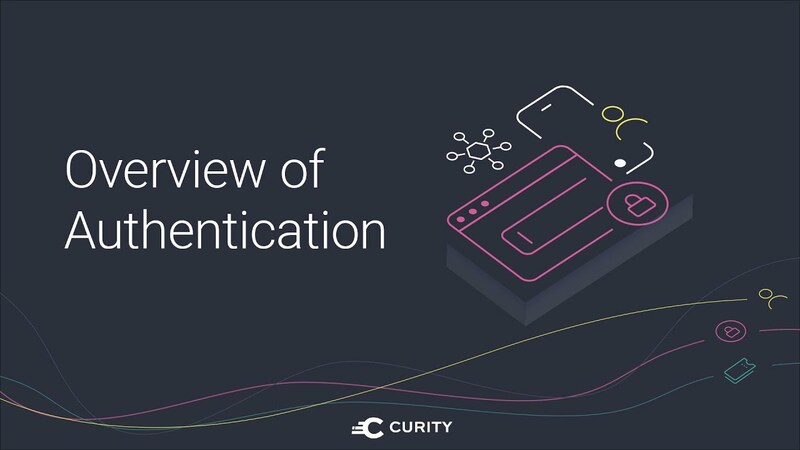 : OAuth allows for other HTTP authentication methods, like digest, to be used; Curity does not support these, but does allow authentication to be performed using the JWT grant type in addition to the client secret in a form post and basic authentication. In order for an app that does not have a backend to get an Access Token, the Implicit Flow can be used. This tutorial will guide you step by step through the process of configuring that in Curity Identity Server.